Good morning! 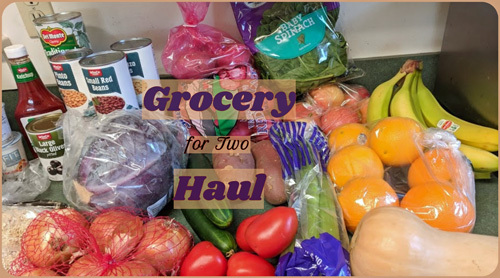 It's time for this weeks grocery haul. I went to both Winco and Costco for my shopping this week. 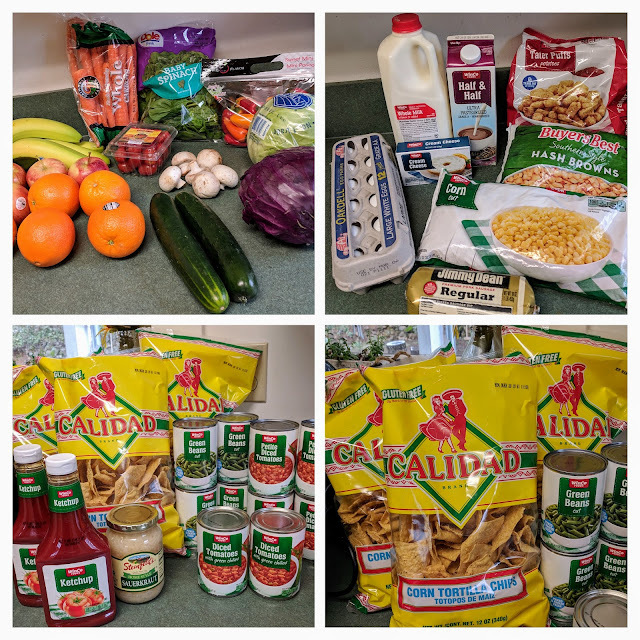 There was a lot of the regular weekly items plus a few things for my pantry. I picked up the weekly fruits and veggies. 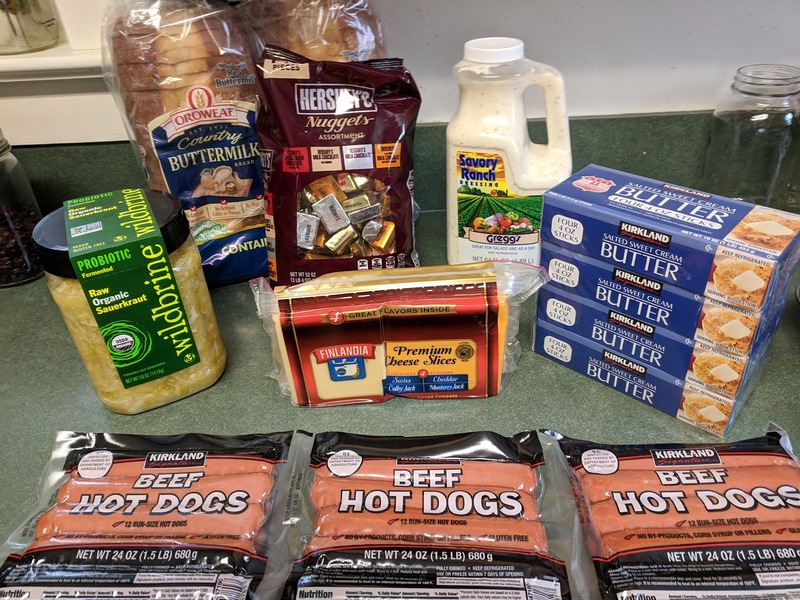 I got my milk, half & half, a package of cream cheese, a bag of store brand tater tots and the cubed type hash browns, a dozen eggs and a pound of Jimmy Dean sausage. I had run out of frozen corn and I like to always have it on hand. It's great to add to soups and chowders or bean dishes so I try and regularly keep it in my freezer. I also restocked my pantry with some diced tomatoes and diced tomatoes with green chilies (the generic version of Rotel tomatoes for half the cost). Plus ketchup and green beans. 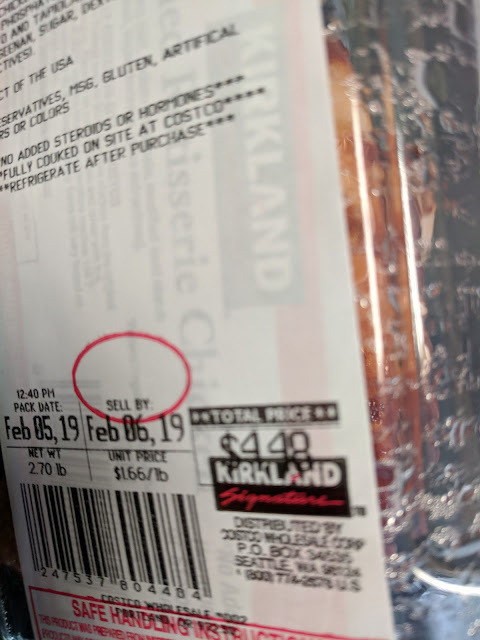 I picked up a jar of sauerkraut for a meal I was planning and then found fresh sauerkraut at Costco and bought that as well. 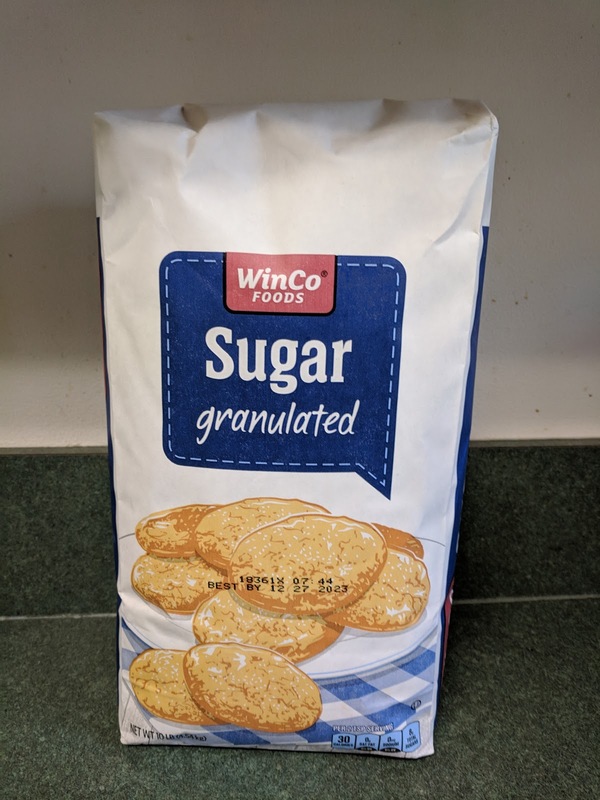 This jar can sit on my shelf and I'll use it in the future for another meal. The second stop was Costco.. Butter, sliced cheese, hot dogs, 2 loaves of bread and a bag of candy (can you tell I had my hubby with me! :D ) and ranch dressing. 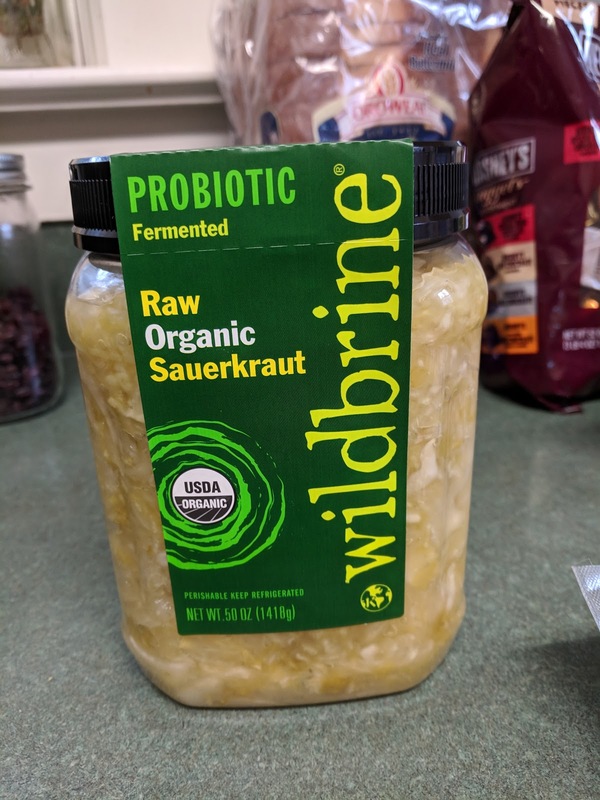 And the sauerkraut... this stuff looks so good and I can't wait to try it and enjoy the health benefits from fresh sauerkraut. I also picked up a rotisserie chicken. 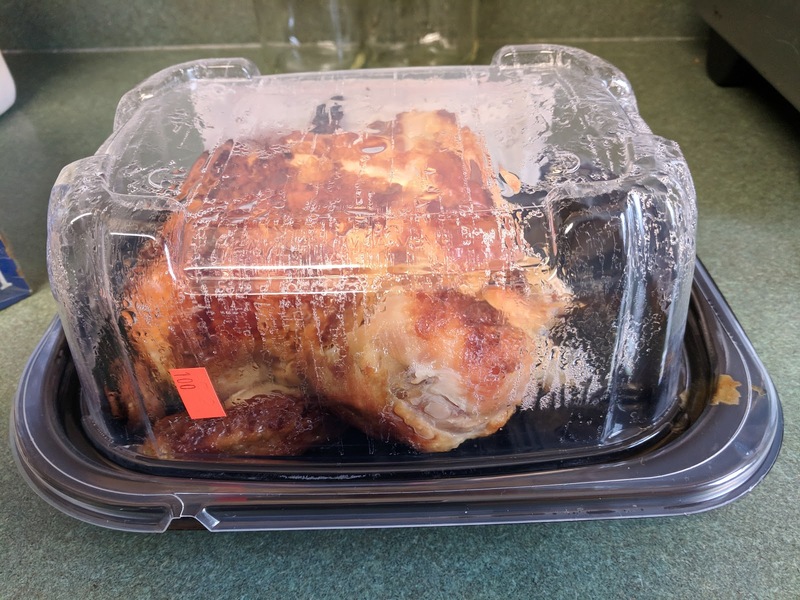 I had roasted chicken on my menu and honestly for $4.50 this is a great way to go. We enjoyed the roasted chicken that night for dinner and I'm currently making chicken stock in my Instant Pot with the bones. I think I get a lot of mileage out these chickens. That's all for this weeks Grocery Haul for Two!